Terletak strategis di area berbelanja, hiburan keluarga, melihat-lihat di Tokyo, Tokyo Bay Ariake Washington Hotel menyediakan tempat yang kondusif untuk melepas penat dari kesibukan Anda. Hanya dari pusat kota, lokasi hotel yang strategis ini memastikan para tamu agar dapat secara cepat dan mudah mencapai ke tempat-tempat menarik. Hotel modern ini terletak di sekitar obyek wisata populer kota ini seperti Risūpia, Tokyo Big Sight, Bianglala. Gunakan kesempatan untuk menikmati pelayanan dan fasilitas yang tidak tertandingi di hotel Tokyo ini. Hotel ini menyediakan WiFi gratis di semua kamar, toko serbaguna, resepsionis 24 jam, fasilitas untuk tamu dengan kebutuhan khusus, penyimpanan barang untuk menjamin kenyamanan terbaik bagi para tamu kami. Nikmati fasilitas kamar berkualitas tinggi selama Anda menginap di sini. Beberapa kamar memiliki televisi layar datar, pembersih udara (air purifier), kopi instan gratis, teh gratis, pelembab ruangan (humidifier), yang disediakan untuk membantu Anda mengumpulkan tenaga kembali setelah lelah beraktivitas. Pijat di hotel ini adalah tempat-tempat ideal untuk bersantai setelah hari yang sibuk. Temukan paduan menarik dari pelayanan profesional dan sejumlah fasilitas di Tokyo Bay Ariake Washington Hotel. Pajak akomodasi sejumlah JPY100 akan ditagih di properti per orang per malam untuk tarif kamar seharga antara JPY10000 dan JPY14999. Pajak akomodasi sejumlah JPY200 akan ditagih di properti per orang per malam untuk tarif kamar seharga JPY15000 dan lebih dari jumlah tersebut. Jumlah maksimum anak yang diperbolehkan menggunakan tempat tidur yang tersedia adalah 1 orang. Silakan menghubungi properti untuk informasi lebih lanjut. Properti ini berjarak sekitar 20 menit dari Pasar Ikan Tsukiji. Sungguh nyaman dan meninggalkan kesan yang tak terlupakan.Bersih dan menyediakan air minum langsung dari kran sangat efisien.Pemandangan langsung ke laut merupakan kesan hotel yang bertaraf tinggi.Pelayanan yang sopan dan cepat juga merupakan poin tambahan buat hotel ini. I got a single room in this hotel at a very good price (less than JPY 10000 per night) and was very satisfied. The bed was comfortable, the room was small but nice and clean and the bathroom was enough for my needs. 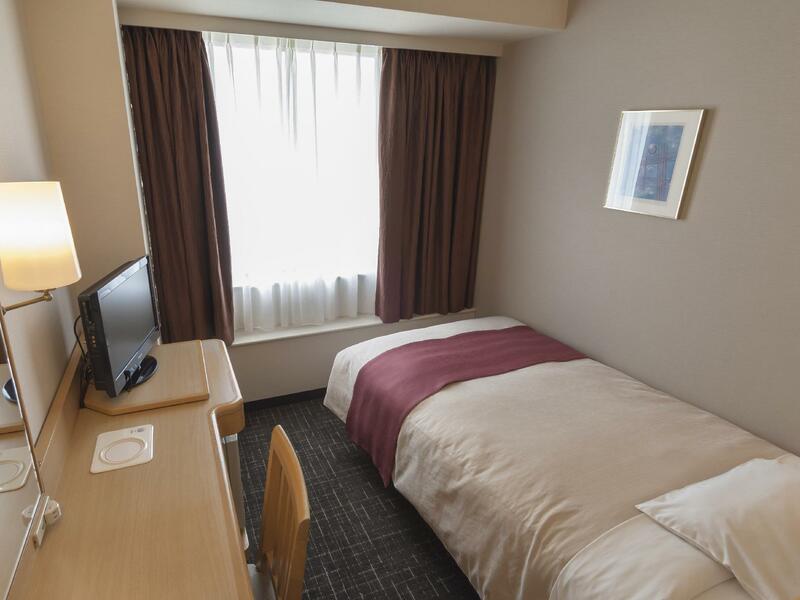 The direct shuttle service to and from the airport was very convenient, and the hotel is only a few minutes walk from both the Yurikamome and Rinkai lines. You also get a discounted rate for buffet-style breakfast (JPY1600). The only cons: (a) I had to request for a foam pillow because the synthetic Japanese-style ones were not very comfortable for me, (b) the room was small, and the bathtub may be a bit difficult for tall people to use, and (c) there are very few English-speaking staff at night, so it may take a while for your concerns to be taken care of. Overall, I'm happy with this hotel and would book again. 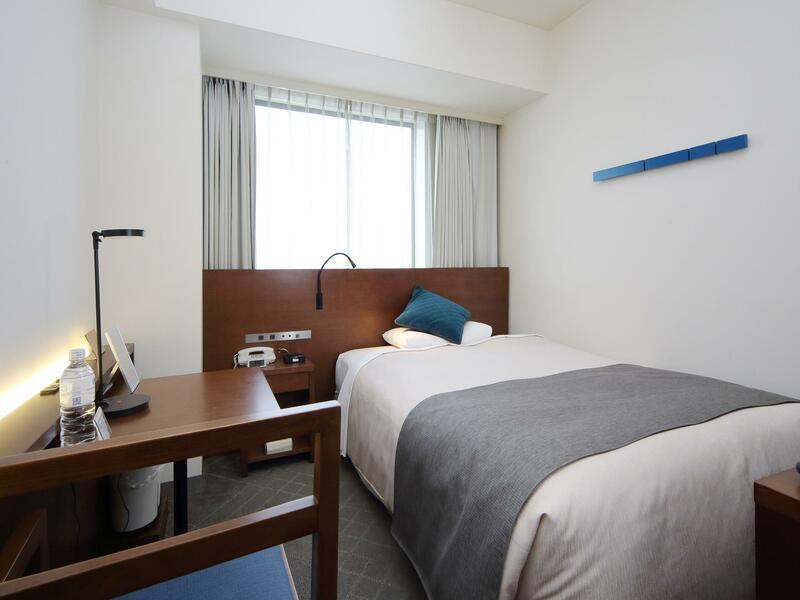 It is quite far and expensive to get to from "mainland" Tokyo though, so if you're a tourist, you may want to consider any hotel in Odaiba as a last resort. Quiet and comfortable. Away from crowded center. A pleasant short walking to public transportation. Downstairs connected to several restaurants and a convenient store. Center-controlled air conditioner but the temperature is quite comfortable for me. Stayed with wife and todler for a night. 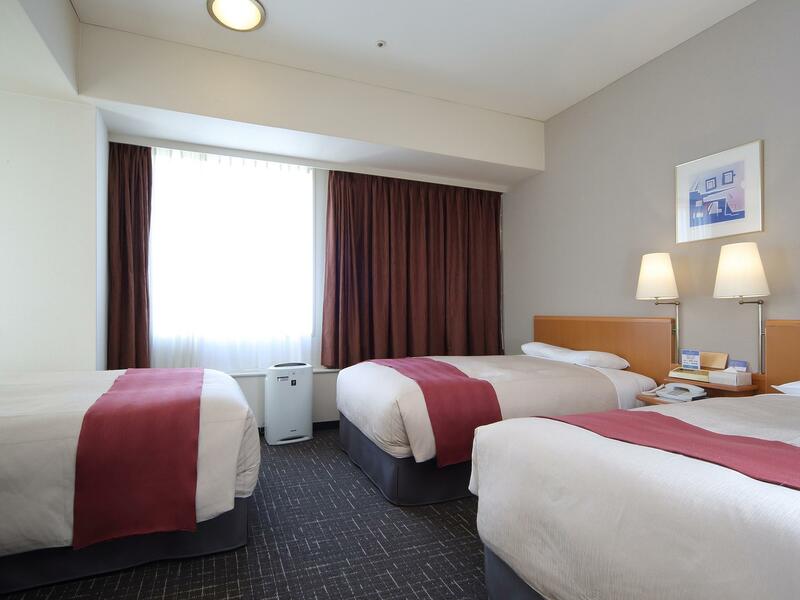 Its a big hotel with airport limosine servie to Airports, Situated at 10mins walk from Ariake monorail station. 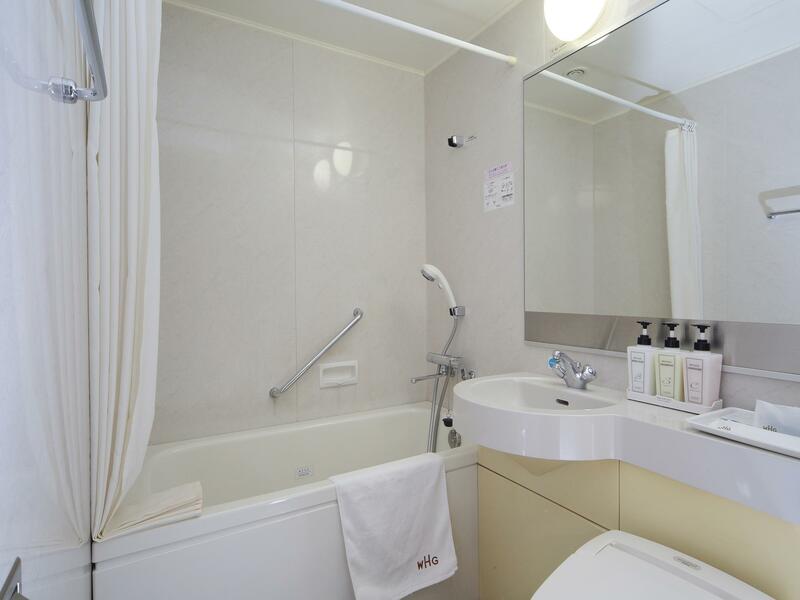 Has All odaiba attractions at walking distance(10-15mins). Hotel has McD & a foodcourt in same building. Breakfast has continental options so Vegetarians have options to eat. Hotel also provides discounted tickets for Madam Tussads & legoland. (Must buy). I stayed one night and check out for C95. After I checked out, I went to the place for luggage keeping, the receptionist told me that they can only accept one luggage, no carry-on on the top, not even a plastic bag. I won't say it's not reasonable, but the hotel shall announce the rule in the first place. Room is small but clean. 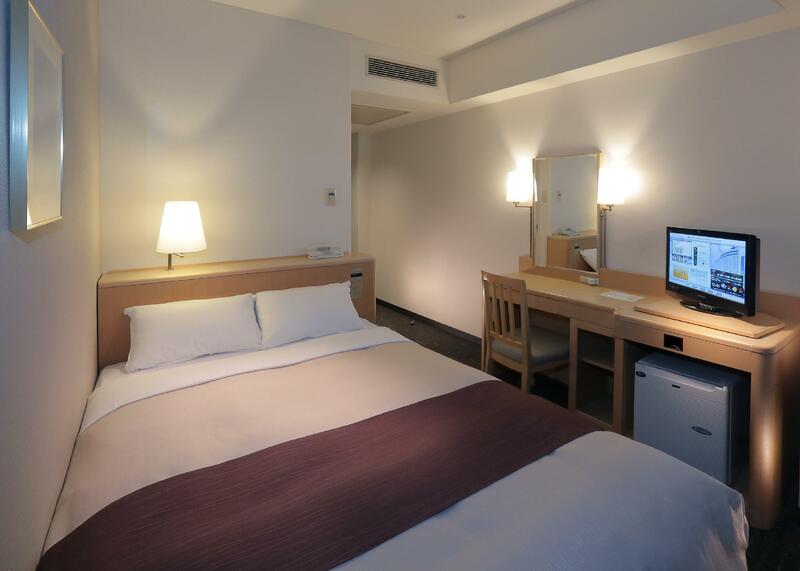 The hotel is located nearby 2 train stations and with convenient stores nearby. Like this place as not too expensive as compared to others in Odaiba and yet very strategic location to travel around. Booked this hotel because it is near enough for us to travel via train to go Disney. Turned out it's a Disney Good Neighbour Hotel and thus there is free shuttle bus to and fro Disneyland and DisneySea! Saved us a lot of time and money to enjoy more in Disney. 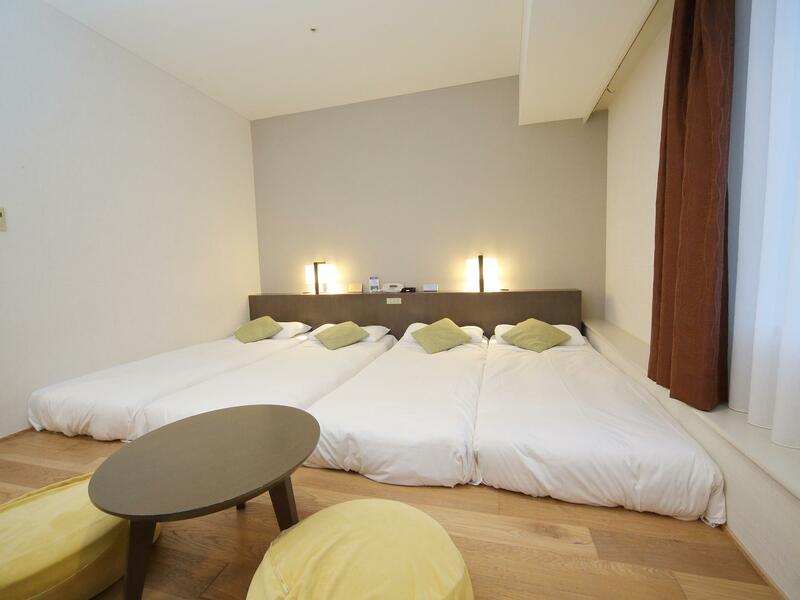 Room is huge and cheaper than staying in Tokyo mainland. Only thing is there is no convenient shops around and just 1 McDonald's downstairs which is NOT 24/7. And Rinkai Line is more expensive to travel on than JR, metro or other lines. So be prepared to spend a bit more on transport if using this hotel as base (save on accommodation cost though). Definitely will stay here again. This hotel is situated next to the Tokyo Big Sight, i.e. International Exhibition Center. It is also situated in between two mono rail stations, i.e. Ariake and Kokusai-Tenjijo-Seimon, on the Yurikamome line. This line terminates at Shimbashi, which is connected to 4 other main lines to various parts of Tokyo like to Ginza and Akihabara. Various big shopping malls are within walking distance, e.g. Aqua City, Venus Fort, and the likes. Plenty of good restaurants and food courts can be found in those shopping malls. This place was so nice! The staff was very friendly and helpful. There’s a McDonald’s and corner store on the first floor. It’s located right by two different train stations. 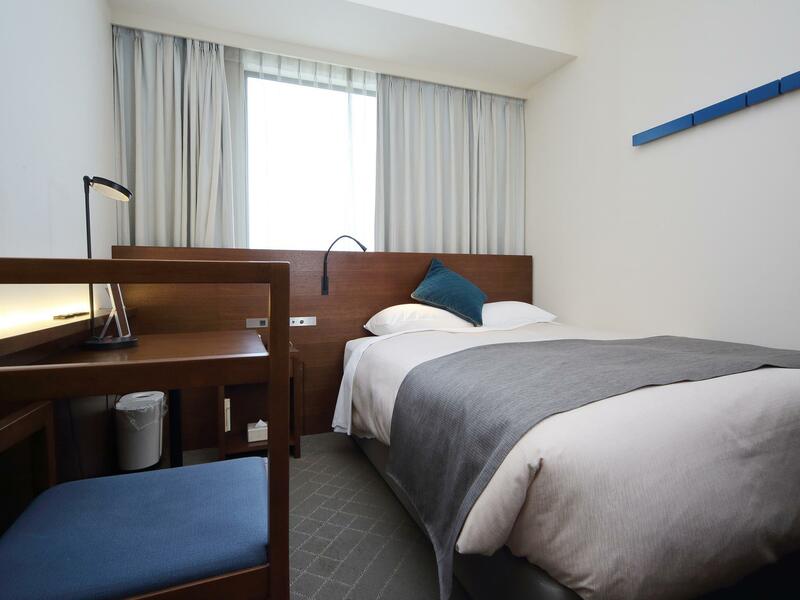 The beds were comfortable and the room was equipped with all the necessary amenities. :) Oh! The buffet downstairs was amazing, too. I would stay here again. everything is excellent but wifi is very BAD CONNECTION. I could not working in the room . Near the subway station and there is a convenient store in 1/F and a McDonald. We left a toy in the hotel and still able to get that back in a few hours after we checked out. Room: Standard Single - Good sized bed. Small room, but great if you just need a place to rest and store your stuff. Location Pros: Located in the South East section of Tokyo. Walking distance to the Big Sight convention center. Close to the giant Gundam at Diver City, Venus Fort, Aqua City, Decks, Mega Web, Joypolis, Tsukiji and Toyosu. The hotel offers free shuttles to the Tokyo Disneyland resort. The hotel is a designated stop for the limo bus service from Haneda. McDonalds, Daily Yamazaki, and Seven Bank ATM are located in the hotel along with several other eating options either inside, or within walking distance. Location Cons: Travel to places like Asakusa, Shinjuku, or Ikebukuro, can take up to an hour each way. Problem: The rental pocket WiFi I had ordered was refused delivery the day before I arrived, even though I had called the hotel directly to let them know I was expecting a package. I had to call the company and go to Asakusa the next day to pick up a replacement.